Supper was yummy. 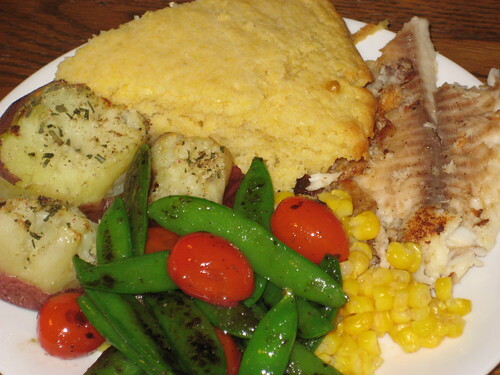 Tilapia, baby baked potatoes, corn, stir-fried sugar snap peas with tomatoes, and cornbread. Wash the potatoes. Slice the top off each one. Place in a saucepan and add enough water to cover. 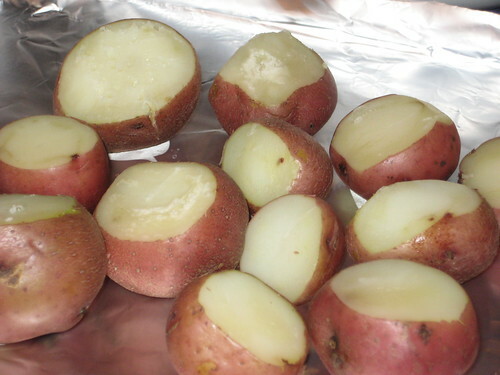 Boil the potatoes until just tender (10-15 minutes, depending on the size of the potatoes). Drain. 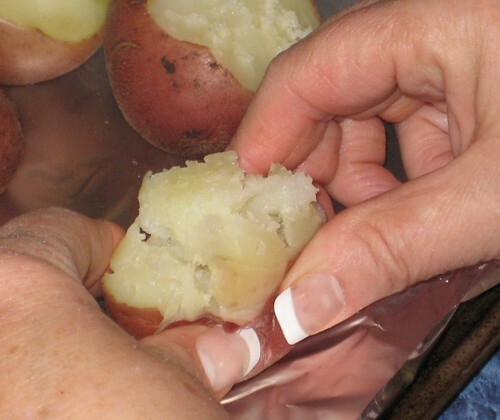 Place the potatoes on a baking sheet, lined with aluminum foil. 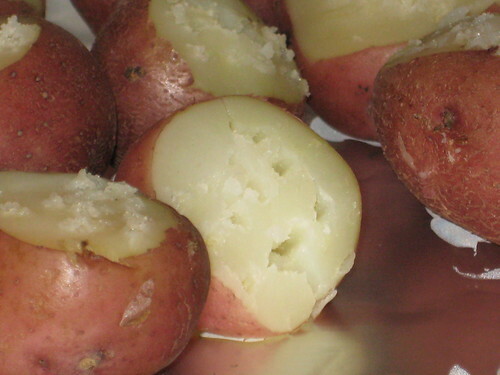 Pierce each potato with a fork, five or six times. Pour a little olive oil on each potato. Sprinkle with freshly grated sea salt and freshly grated black pepper. Mince about a tablespoon of fresh rosemary and sprinkle over the potatoes. 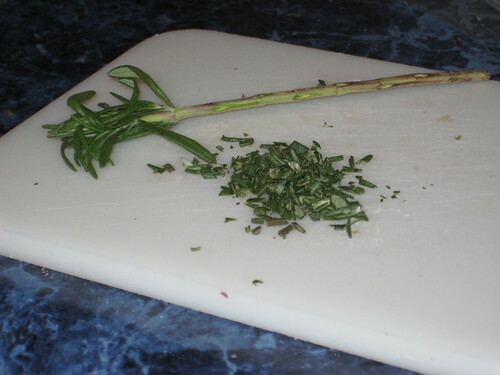 Yes, you can used dried rosemary, but it isn’t going to taste anything like fresh! 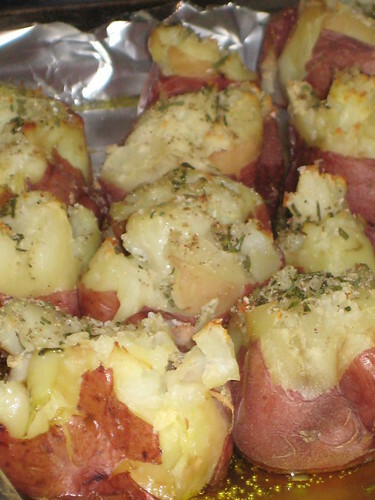 Bake the potatoes in a 375* oven until the tops are lightly browned, about 20 minutes. This entry was written by ~~Rhonda, posted on January 28, 2009 at 7:24 pm, filed under cooking and tagged baby baked potatoes, supper. Bookmark the permalink. Follow any comments here with the RSS feed for this post. Post a comment or leave a trackback: Trackback URL.